I have long been a fan of iomoi and I am absolutely loving their new line of leather bags! The colors are fantastic: orange, navy, yellow, chocolate, and camel and the shapes are so classic. On top of all of that fabulousness, they can be monogrammed in gold (see navy bag below)! I wish I could see them in person! I love those bags. My birthday is in December and I just might ask for the tote in orange. These are gorgeous. Thanks for the pics. I like that these are subtle and not too brand-y. Very European-looking and oh-so versatile. Love that first orange bag! Love the big leather navy bag. I love a bag that holds everything! Love the orange leather Parker bag. 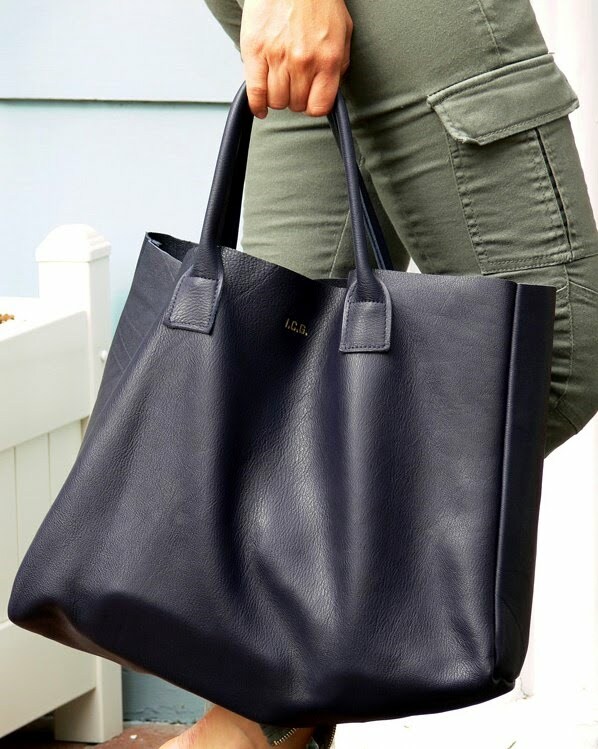 Yes to the tote bag...great for all your on the go working materials.